COME SEE THIS BEAUTIFUL HOME THAT FEATURES FOUR BEDROOMS, THREE BATHROOMS, AND A VERY SPACIOUS LOFT AREA!! 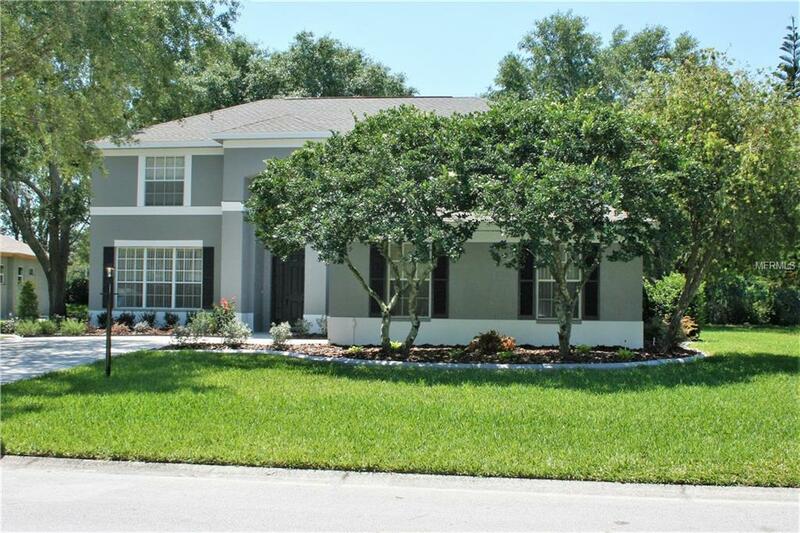 Freshly painted in crisp, clean, grays; the curb appeal invites you to stop and take a look. Walking through the front door you will notice the neutral, easy to maintain ceramic tile, and freshly painted walls throughout the house. On the first floor there is an open floor plan between the kitchen and living room. A breakfast area looks out to the large, screened in patio and the gorgeous back yard dripping with oak trees. For a larger dinner party, a formal dining room is located off the kitchen. And your laundry will not stand a chance in the spacious laundry room. Heading upstairs to the loft you will find a quaint spot to use as a play area or a work area for your teen with tons of homework. There are FOUR bedrooms and THREE full baths with the master taking the prize. The entryway opens into a spacious retreat full of light. A HUGE walk-in closet provides storage for everything you own. But the cherry on the tope of the 2800 square foot delight is the BRAND NEW ROOF. Do not miss out on the Sutton Woods Sanctuary. It is ready today for you and your family! !